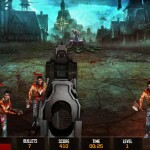 Shooting Zombie Defense Upgrade Action Box10 Click to find more games like this. 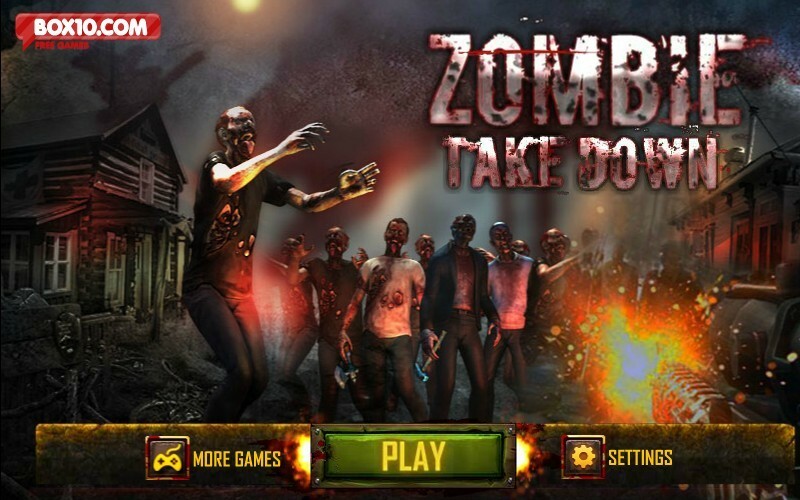 Zombie Takedown is a First Person Shooter game. 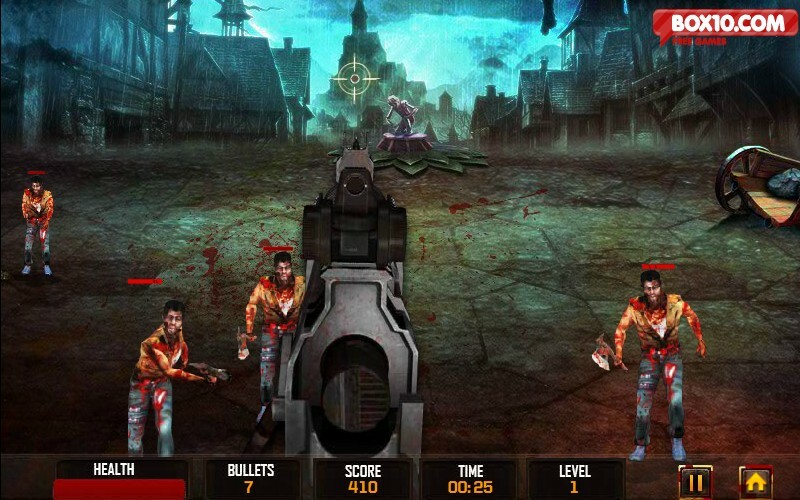 It's a zombie killing action game with lots of guns to upgrade like shotguns, assault rifles, machine guns, sniper guns and many more. 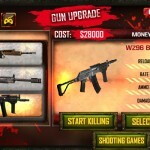 You get in-game weapons like time bombs, grenades and c4 to explode the zombies. 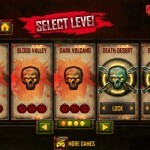 Play the game in three modes - easy, normal and hard. 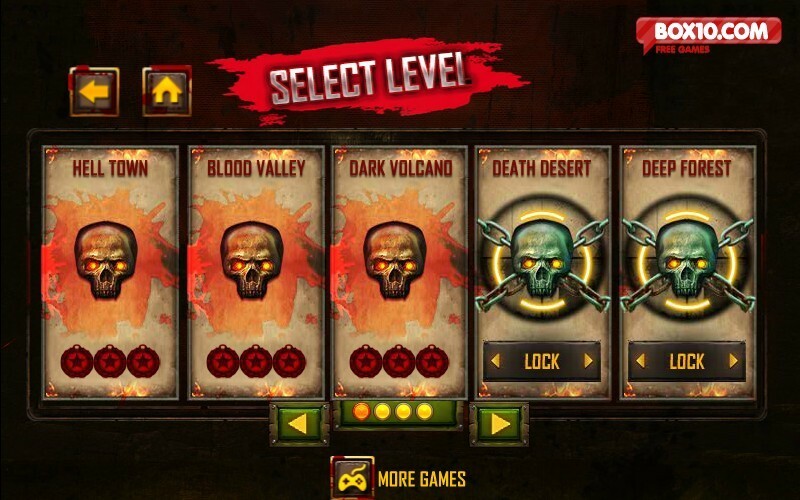 Achieve and unlock new achievements after each level. 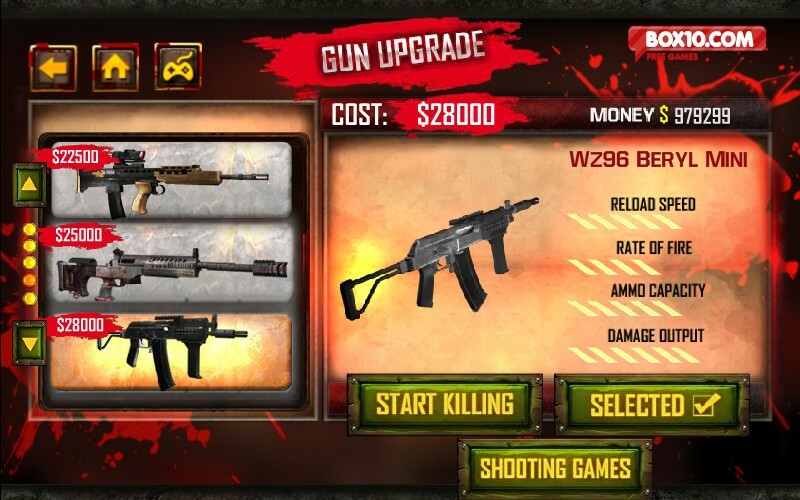 Unlock bonus points for headshots. 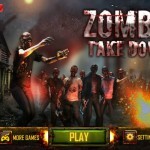 Beware of the dead city zombies and animals attacking you! Reclaim your lost city! Get ready for the action!